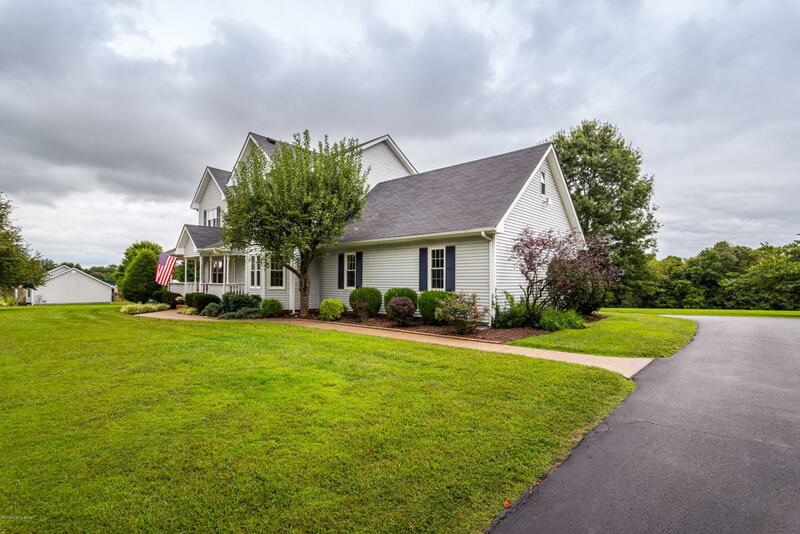 Incredible and stunning 4BR two story on 5 lush acres in Shelbyville, KY! This amazing home delivers elegance, tradition, and space in a beautiful way! 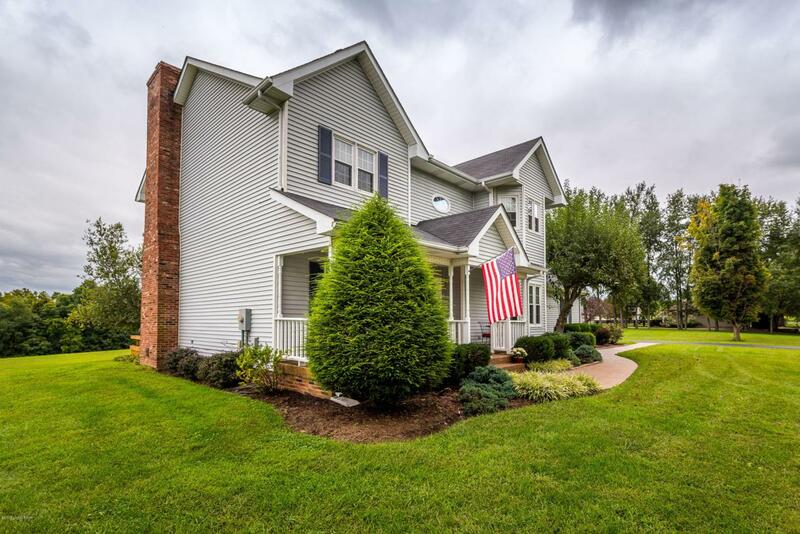 From the moment you arrive at this property you'll know you are home, from the park-like feel of the gorgeous property, to the welcoming front porch it only sets the stage for what's to come inside! Once you step inside you'll be welcomed by a gorgeous staircase and entry way, a stunning great room with amazing views and amazing open space leading to the fantastic kitchen with glorious abundant cabinet and counter space! Upstairs you'll find a beautiful master suite with all the features you'd expect! Plus you'll love the secondary bedroom sizes! Oh and don't miss the extra storage/attic space up here! Downstairs there's even more spacewith the fabulous family room and a ton of storage space! How about upgrades? Of course they are here, how about a brand new GEO thermal unit? 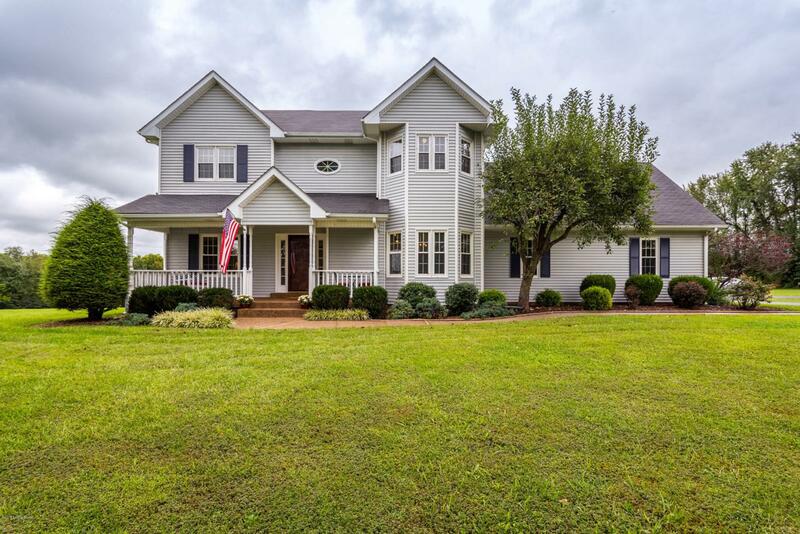 Outside this home keeps delivering in a big way with outdoor space with an incredible deck overlooking this amazing 5 acre private property! Still need more? How about an over-sized 2 car side entry garage? 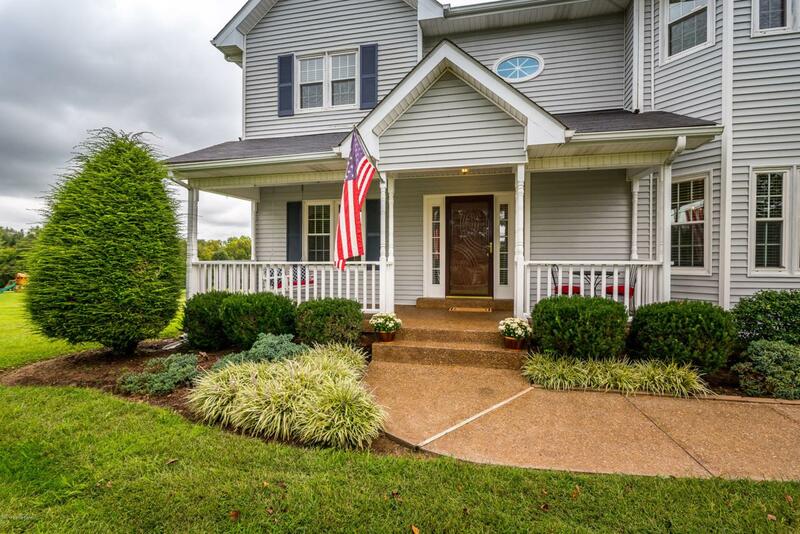 Don't miss this beautiful home and property that's priced to sell in Shelbyville below a current market appraisal! Visit our premiere open house Sunday, Sept 16, 2-4 pm!